Does your heart cringe everytime you walk by the room and come across that ugly wallpaper? It is time to ditch that boring wallpaper you regret putting up. Wallpapers are amazing wall decor for furnishing a small studio apartment. 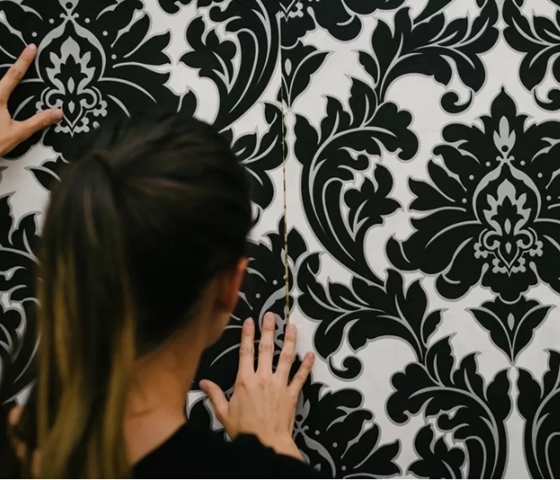 But, detaching a wallpaper seems like an easy task, until you try it. If you’re blessed with removable wallpaper, it is going to be a cakewalk for you. If not, then be ready for a tough battle on How to Detach a Wallpaper. Detaching a wallpaper can damage your wall paint and coverings. No! If the thought of painting over your old wallpaper crosses your mind, stop it right there. These instructions on How to Detach a Wallpaper in 8 smart steps will help you get rid of it with as minimal damage possible. Get ready for it, it is going to be a messier job, set aside a weekend to do the job. The job is going to be time-consuming, tedious and messy, of course. Clear the room, cover all your sofa, bed, chairs and table with a cloth and move the furniture to the centre of the room. Keep dry waste cloths ready, as the room will be wet and sticky. Your living room should be clean, beautiful and welcoming. Have the right modern living room home decor and interior. Before you start working on how to detach a wallpaper switch off all the electrical appliances. Shut down all the power supplies and cover the electric plugs, plates with tape or plastic if required. Remember, safety first! I am not going to sugarcoat it, you might need the help of your partner or kids. If your budget is for the kitchen, get inspired by these productive way to utilize small space for the kitchen. Know your wall type first, if it is drywall or plaster before you start ripping off the wallpaper. Are you unaware on how to determine wall type? Save yourself the time, plaster wall when knocked sound solid and dull whereas, while knocking the drywall, it sounds hollow. Drywall is very delicate and cannot withstand a lot of wetness. Wallpaper scraping tool will create small hollows and damage your wall. Fuel your home with positive vibes, get rid of that old, dull wallpaper. Loose one end from the corner and try to strip the wallpaper very carefully and slowly. If it removes effortlessly then you have a strippable wallpaper. If not, then it is a traditional (old school) wallpaper. Some wallpaper needs water and solvent to remove them. Before starting with how to detach a wallpaper it is important to know some smart steps to save your time. For remove the wallpaper facing (front side) loose the end with a knife and rip it. Clear the entire wallpaper with this procedure. Don’t give up hopes if the wallpaper backing is still stuck to the wall. Be patient, everything will be clear. After the task is done, apply hot water over the wallpaper backing with a roller or brush. Don’t forget to wear gloves and take water as hot as possible. You don’t have to pour hot water, you have to apply hot water. There’s a difference! Let the hot water soak for 15-20 minutes, this extra step will ease up the detaching procedure. Hot water will be absorbed by the wallpaper backing hence, less stickiness. You can work in small sections of the wall for easy management. Use spatula or putty knife to peel off the wallpaper remains. Don’t be too aggressive in the procedure, you might gouge the wall. If the spatula has rounded edges, it’s an extra bonus. While you’re detaching the wallpaper, keep your kid engaged with these fun toilet paper crafts. 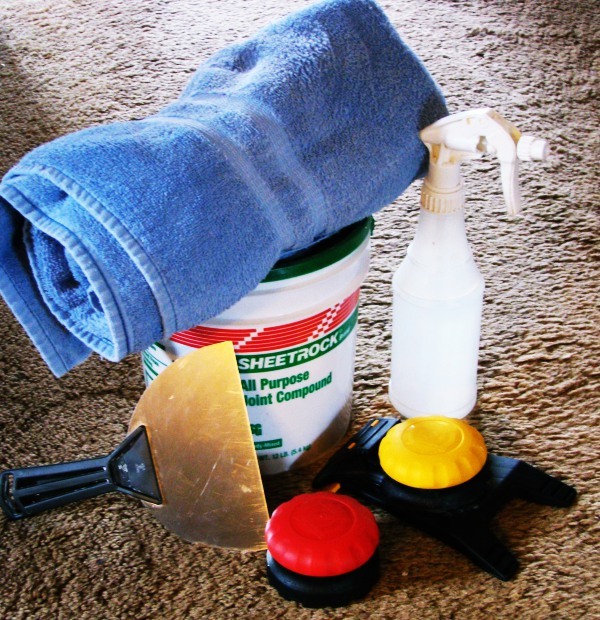 There is a lot of solvents available in the market that are non-toxic and odor free. Solvent does an amazing job in detaching the traditional wallpapers. Spray the solvent solution over the wall with a spray bottle. A solvent is not a magic solution for how to detach a wallpaper. Some manual work is required to remove wallpaper remains with a scorer. This is an old school and probably the most efficient technique for how to detach a wallpaper. You can either buy or rent for a steamer. Water and heat are the best to remove the aggressive remains left behind. Purify your room with aromatic indoor plants to purify your room and relax your mind. Clean the wall with a sponge and most importantly let it dry completely. If you’re planning to put another wallpaper, always prime the wall first. A cool wallpaper and indoor plants instantly give the refreshing feel to the room.